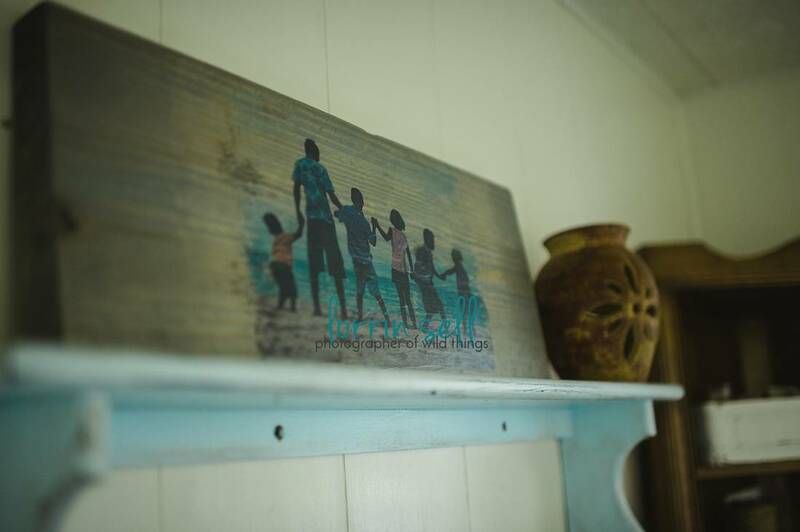 This DIY photo transfer to wood has been on my to-do list for years. I have transferred photos onto pillows before and I loved the result, but I had yet to do wood! 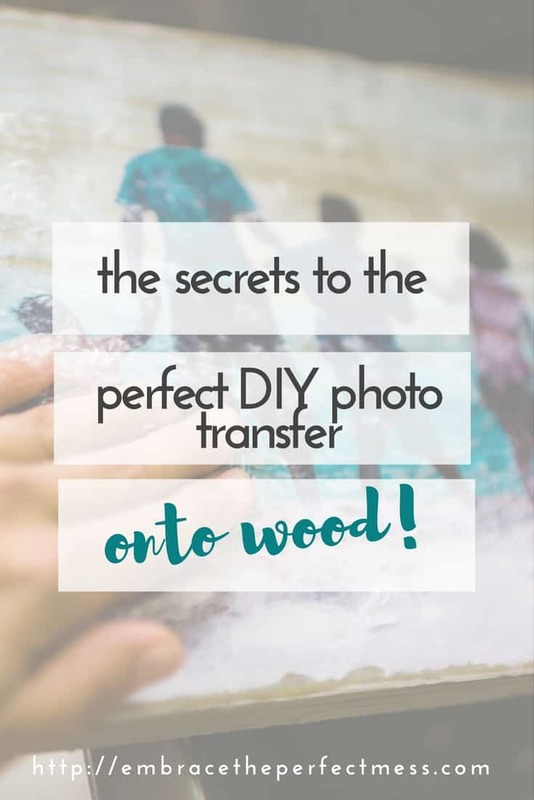 And, I really wanted to learn how to transfer a photo onto wood!I’m really not sure what the hold up was, but I finally got around to doing it on Friday, and it was so simple, I just had to share with you. Well, it was simple after I figured out what I was doing. 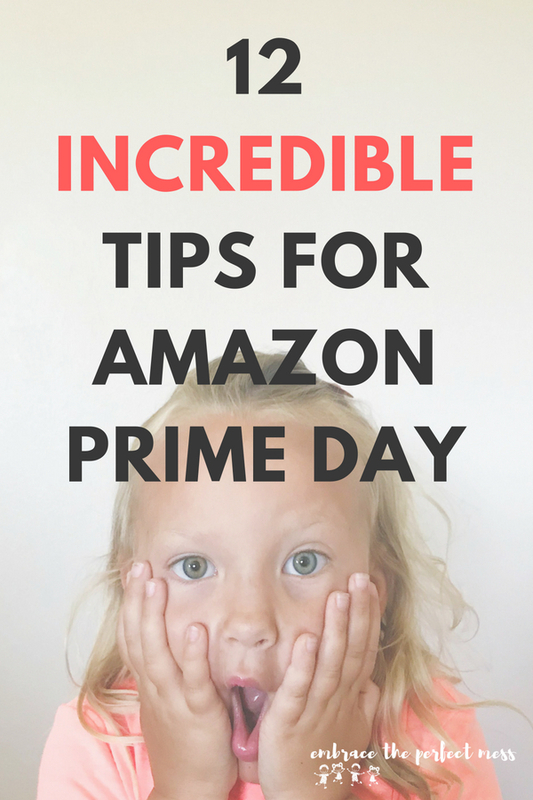 Lucky for you, if you follow this post, it will be super easy for you! Make sure your wood is cut to your desired size. I did this project with a friend, and we literally used two random pieces of wood we found around our houses, we didn’t even have to bother cutting them down. Sand (SO much easier with a power sander! 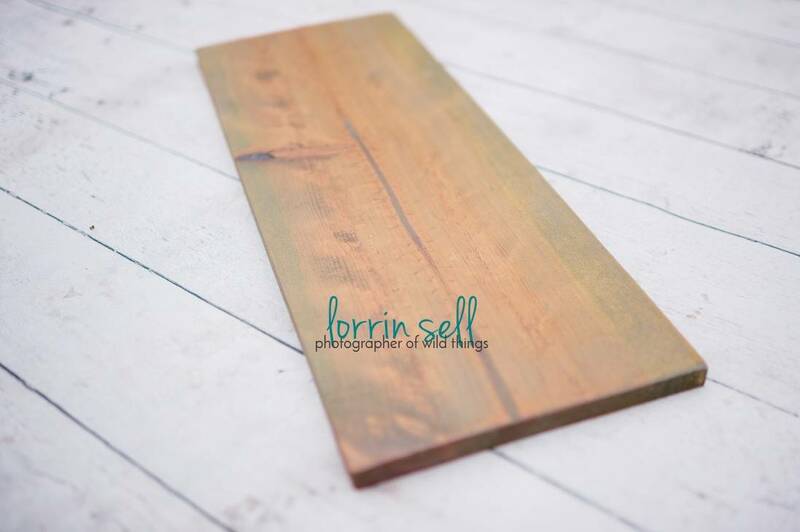 I used it on my diy pallet coffee table, and it made the project so doable for anyone!) and stain the wood. Cut or tear your print to size. This project will only work with a laser printed image (and it’s best printed on a regular paper). We actually had to redo the image transfer process 3 times before we got it right. The first time, we used an image printed on cardstock- it was super hard to get off. It was also printed with an ink jet printer. Second time, we used regular paper, and an ink jet printer. That one came off easier, but it still didn’t work. Don’t make the mistakes we did. Don’t even bother trying it with an ink jet printer. You can actually get a picture printed at staples for a couple of bucks. 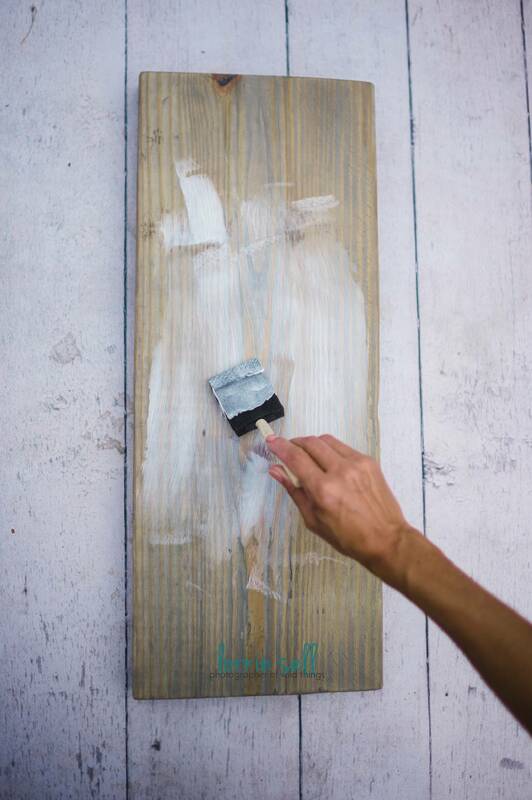 Paint a thin, but ample layer of the gel medium on the board with your foam brush to cover the area your image will fit on. 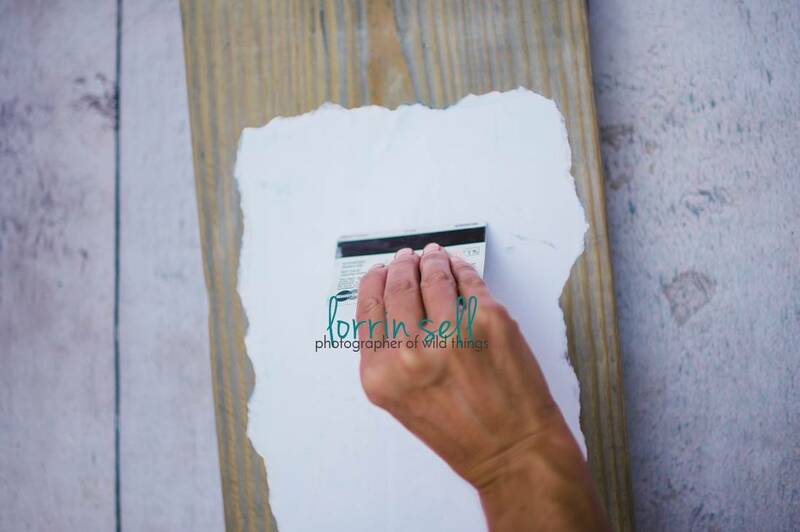 Carefully, place the image on the board, and squish all of the air bubbles out with an old gift card, Making sure your image is totally smooth. Some of the medium will squeeze out of edges of the image. Wipe that off so that it doesn’t dry lumpy. 7. Let the image dry overnight. Trust me when I say this will not work if you don’t let it sit for 8 hours. Unfortunately, I figured that out the hard way because I am painfully impatient. 8. Wipe off the paper, by running your wood under water and rubbing the paper off in circular motions. This can take a little while. I had to keep allowing it to dry, and then wet it again and and wipe off more paper. 9. 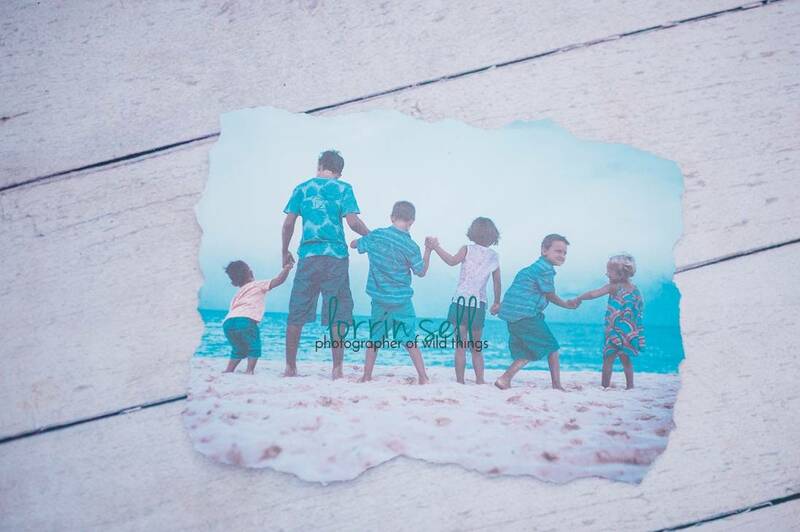 Once you have all of the paper off, sand the edges of the image to give it a distressed look. Pick or scrape off any extra gel medium. 10. Stain the wood all over including the area over the image. Let dry. 11. 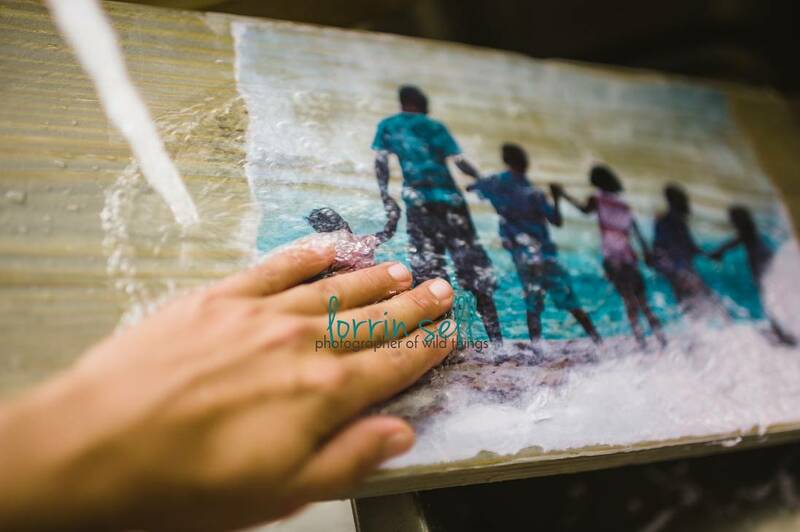 Last step– Cover the wood with mod podge using random brush strokes to seal the image. 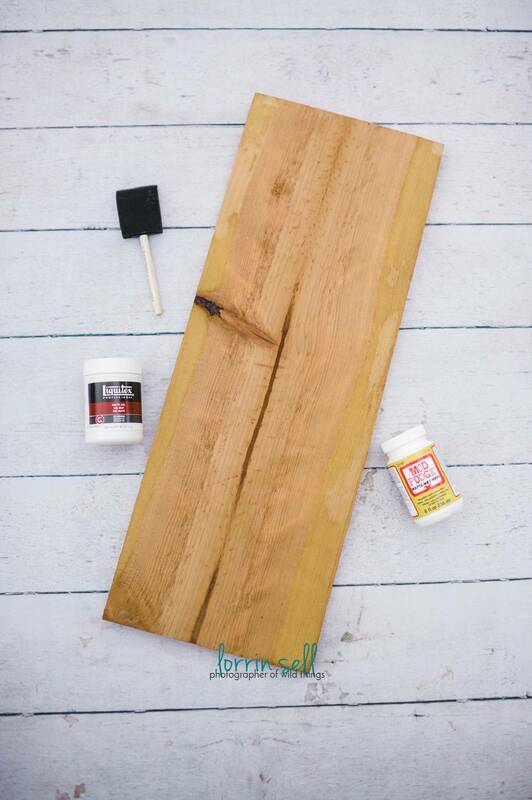 Be generous with the amount of mod podge you use and be sure to cover all of the wood. I only covered the top of the wood. Hang it, or set it on a shelf, and show that sucker off!! I chose to put mine on a shelf. My friend actually used velcro command strips, which are honestly genius she hangs everything with them!, and made this project even easier! There was no need to mess with any kind of hardware for hanging. What do you think? Does this look easy enough for you to do?? 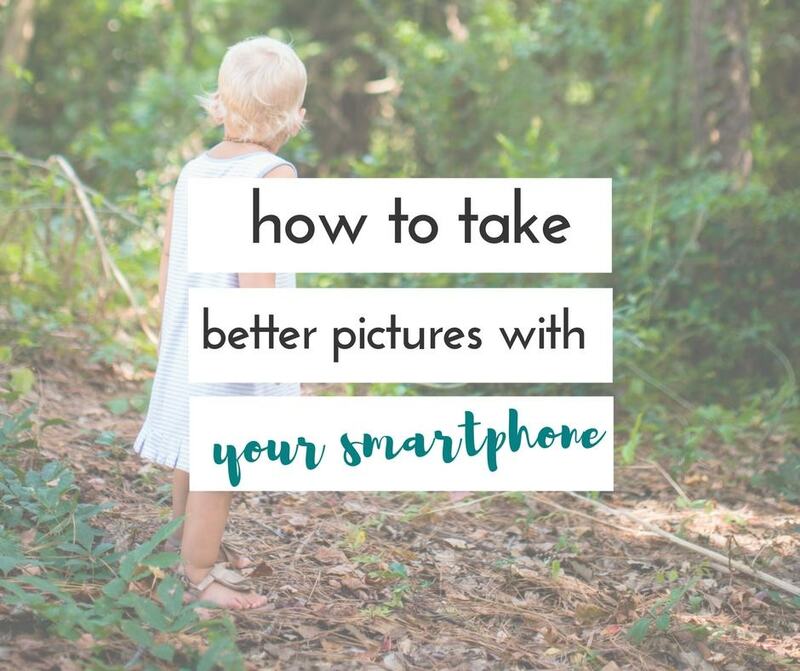 By the way, if you love this picture at the beach, you may be interested in these tips for taking better pictures at the beach. Don’t forget you can get these directions emailed right to your inbox! 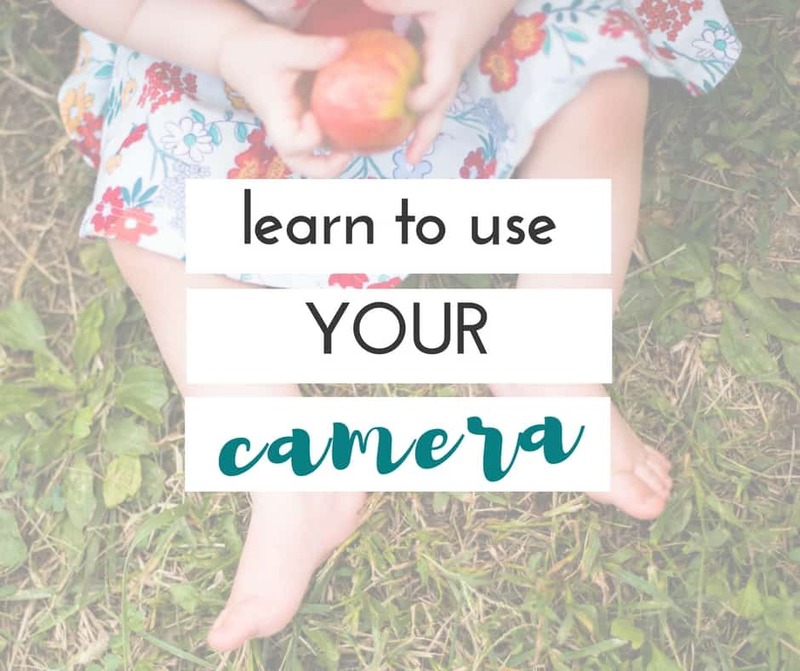 subscribe if you haven’t already to get YOUR FREE 14 page ebook– 10 photo projects for ANYONE with ANY camera!!! 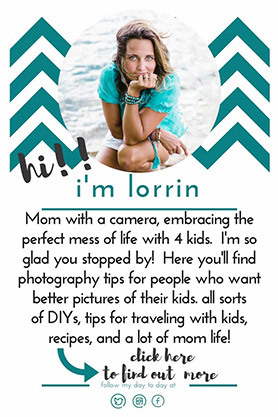 get 'em emailed right to your inbox! I have seen this done but haven’t tried it yet. Looks really easy. That is SO cool! I didn’t realize this was something that could be done from home! Thank you so much for sharing! I don’t know why, but I always thought it was a difficult process to do a photo transfer. You broke it down and made it look so easy. Adding this to my to do list! You know, this would make excellent Christmas for various members of my family. I am going to save this on Pinterest so I can come back to this later. Thanks for the ideas! Thanks for the tutorial. I really should do this, it would look great with my Farmhouse decor. it really was very easy once i got everything figured out! oh!! it’s perfect for farmhouse decor!! i love that you said that about his face!! i had another one where they were all standing and looking perfectly at the ocean. i HAD to use this one though because of his face. it’s SO him! This looks easier than I thought! I’m redecorating so definitely gonna do this! I recently tried this. Three times in one weekend actually. I couldn’t get it to work and I was using a laserjet printer. kari, that’s so strange! did you leave it to soak overnight? i wonder if you didn’t have enough medium. i had no issues once we used the laser printer AND let it sit overnight. raneil, i was amazed by how easy it was. i’m so happy with the result. liz, isn’t that how it goes??!! we take a bunch of pictures, and never print them!!! haha!! i love it! you are going to have a ton of happy people on christmas morning!! That looks super cute! I thought it would be a lot harder but you made it look so easy! it really was easy once i got it all figured out, christina! Ok quick question… you place the picture facedown on top of the gel medium, correct? Did you not have to reverse the image first? Is gloss photos okay? Or do you suggest a photo from regular printer paper? Thank you for the step by step process! 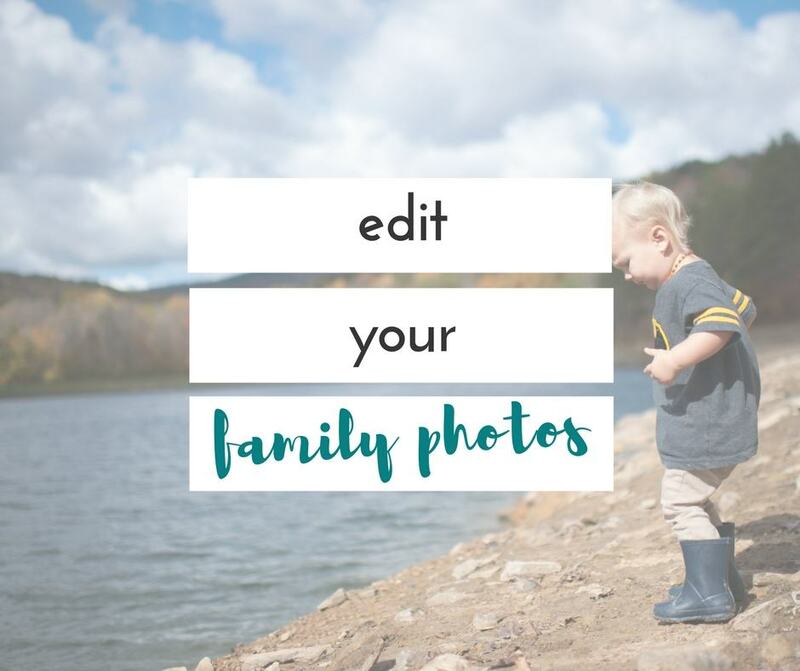 I have a project in mind and this photo transfer would make it even better than my original idea.